Now I try to be reasonably open-minded about art in general, and SL-generated art even moreso, but two recently-hyped projects make me take pause. First, the RMB City project by Cao Fei that is well-hyped on a number of other blogs. As I understand, it’s the artistic interpretation of the many aspects of Chinese urban life. I’ve been wandering around it for over an hour now, and I see a rough concept that might be worth pursuing. The quality of the builds, however, well….I could build this well in my second month in SL. I’m presuming that the “clutter” approach to building is supposed to be symbolic of the density of Chinese cities, but it just comes off as junky to me. The topper was the rather novel lighted tunnel through a mountain…that crashed my browser due to the overabundance of glow, full bright and WAY too many light emitters. The photo here pretty much tells you what you need to know. If this is art, it’s lost on me. What really surprises me about RMB is that so many SL bloggers, people whose opinions I generally respect if not agree with, have been sucked in and suggest that this is some incredible artistic achievement. It comes off as strange to me that the creator of this animation would turn their back on the tools that allow the likes of Dizzy Banjo and Lainy Voom to create works of such incredible artistic depth and instead go with a choppy format like stop-motion. It even surprises me more, again, that SL artisans and bloggers are so impressed with this. It’s not the mess that RMB City is, but it’s not what it could be. 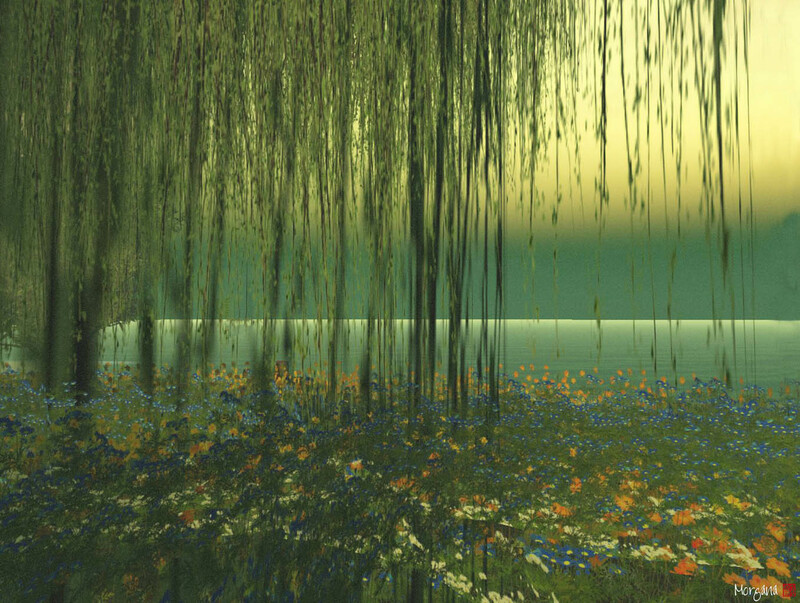 I’ve had this blog for some time, and there’s a LOT to celebrate in the Second Life arts world. I wouldn’t make a big deal out of these two examples except that so many others have wildly praised them…and I just don’t get it. Beauty is in the eye of the beholder in the virtual world, too, I suppose. It is with regret we announce the closure of Arthole on September 30th 2009. We are unfortunately unable to dedicate the necessary time to the gallery anymore, and for a number of other reasons feel it is time to move on and go our separate ways. Get your last looks in soon. Another GREAT collection of works from Winter, whose work often reminds me more of oil or watercolor paintings than inworld photography. It’s not a big show, but it’s one that’s worth checking out. I was recently given the opportunity to become curator of the gallery at the opera house on the sim of Australia by owners Pants Lilliehook and Mahala Peccable. This happily coincided with the Jamm for Genes charity weekend being organized by australian rl and sl musician, Ohmy Kidd. From OhMy Kidd about Jamm for Genes: “Jamm for Genes” is part of the annual “Jeans for Genes” fundraiser for the Childrens Medical Research Institute, an Australian charity with global benefits. “Jamm for Genes” is all about live music raising money, for research into cell biology that helps with both prevention and cure of childhood, congenital and genetic diseases. You sure did! Congratulations, Morgana! RL books of Second Life-generated artwork and photography are an interest of mine, so this was of particular interest. One has to give credit to Indigo Mougin for not just making the book but entering it in a photo book contest against RL photography! I looked at the online preview of the piece, and it’s very impressive. Definitely worth your time to check out – and vote for it in the contest. This 86 page book contains portraits taken by the SL artist and RL photographer FigBash Snook in 2007 in Second Life. The stunning portraits capture many personal qualities of the models who are mostly close friends of the artist. The book was compiled by Indigo Mougin for Figbash Snook as a RL birthday present using his work and giving him all the credits in the publication of this Blurb book. I believe it is the only book based on Second Life images to be entered into the Blurb.com photographic competition. The People’s Choice competition is open until August 20. Here’s the link to view the book and vote. I’m slowly getting back into the swing of things Second Life-wise. Part of that is cleaning up the blogroll to reflect the current world of Second Life-related art and artisans. I’ve pared back the dead/inactive blogs and sites…now it’s time to populate it with the newer entries. For that, I need your help. 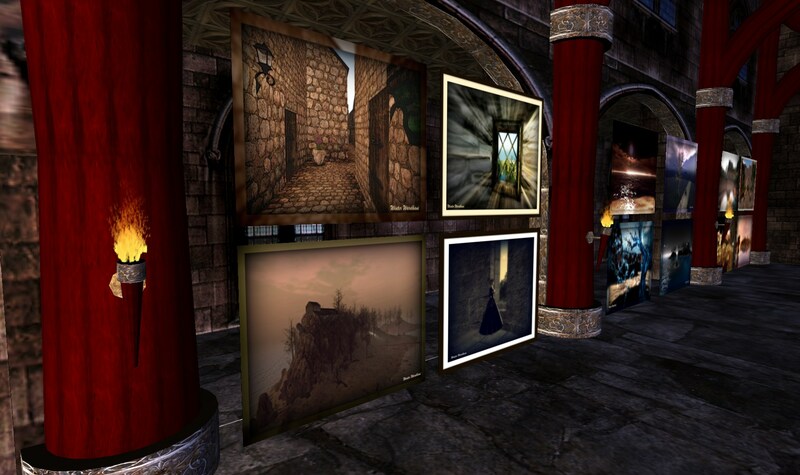 What blogs do you look to in order to keep abreast of the Second Life art scene? Whose artisan blogs do you enjoy reading? Let me know in the comments (with links, please! ), and I’ll add them to the lists on the left-hand-column!